Twelve things your hands can tell about your health. Hands are one of the first body parts to show signs of aging. But they can also indicate certain health problems. Doctors are sure that the condition of your hands can be a result of several medical changes going on elsewhere in your body. Here are 12 symptoms that you should pay attention to in order to maintain your health. However, in extreme cases, it can go as far as up to the fingers. At first sight, this redness looks like a rash and if you press on your skin in that place it turns pale. This condition isn't dangerous or harmful on its own but it clearly indicates other health problems. One of several possible reasons for red palms is a change in the hormonal balance which causes blood vessel dilation. That's why pregnant women may suffer from this condition. Rheumatoid Arthritis can also be a cause for redness on the palms. But the most common reasons for palmar erythema are liver diseases such as cirrhosis or Wilson disease. If you've spotted red areas on your hands, you should get medical advice to find out the true reason for it. Meanwhile, try to switch to a healthy diet and lower your alcohol intake. There are several possible reasons for sweaty palms. Hyperhidrosis or excessive sweating which typically runs in the family. Stress an overactive thyroid that leads to excessive heating of the body. What is more, drinking too much alcohol can lead to having sweaty palms. In the case of hyperhidrosis which is excessive sweating. You can try strong antiperspirants. You can also get a medical procedure done to fight this condition. Try to limit your alcohol intake and learn to control your stress levels. Meditation and inhale/exhale technique might help you to deal with unpleasant situations. If nothing seems to work you should definitely make an appointment with your doctor. There are such procedures as for example, Iontophoresis when you put your hands in a tray with water while a weak electric current is passed through it which helps 70 or 80 percent of those with a similar problem. #3 Loss of sensitivity and tingling. The tingling sensation lasts for a period of time and the nerve needs to get back to work. 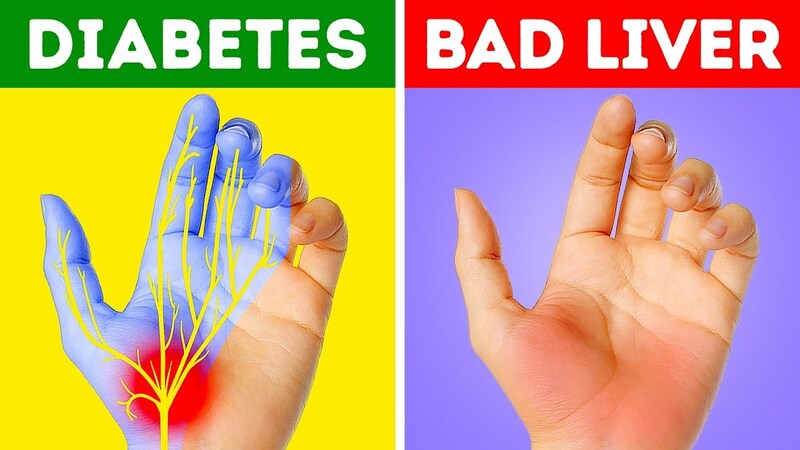 However, in some cases, these symptoms in your hands can be a sign of a more serious problem like cervical osteochondrosis, carpal tunnel syndrome, venous thrombosis of the limb, a brachial plexus injury, anemia or diabetes. If you often experience loss of sensitivity in your hands without an obvious reason go and consult your doctor. The most common reasons for dry skin on the hands are dehydration, underactive thyroid, the deficiency of essential fatty acids or estrogen deficiency which goes hand-in-hand with menopause. To avoid dehydration drink enough water and use moisturizing hand creams. To deal with the lack of fatty acids in your body an oily fish, seeds, and nuts into your diet. Visit your doctor to get hormonal replacement therapy. It will help you to control the estrogen drop. It may seem shocking but in fact, ET (essential tremor) is a big problem for 4 percent of adults after 40 years old. This condition can make life unbearable as trembling interferes with everything you do. If you have an overactive thyroid it may speed up your metabolism cause sweating, rapid heartbeat, anxiety insomnia, and trembling in your hands. if you're experiencing severe stress or anxiety your hands may start to tremble as well. The most common reason, however, is a high coffee or alcohol intake. If you have some concerns go and get medical advice. in the meantime limit the amount of strong coffee and alcohol you drink and check the results. We core crack nails can be a symptom of zinc deficiency. The zinc is really important for our health as it promotes wound healing helps cells divide and strengthens the immune system. Also, it maintains your sense of taste and smell. To deal with zinc deficiency add some foods rich in zinc to your diet. Oats, nuts, baked beans, chickpeas, yogurt milk, oysters, and meat will increase the amount of zinc in your body. Doctors also recommend taking zinc as a supplement if it's level is too low. Nowadays, you can find such supplements at any pharmacy or health store. What happens when you press on your fingernails? If they turn white at first but then resume their pink color there's nothing to worry about. But if they stay white or if this is their permanent color it's time to get worried you may suffer from iron deficiency anemia. This means that there is a lack of red blood cells that circulate in your body. If you leave the situation as it is your iron deficiency may become severe causing dizziness, fatigue or even problems with the heart. Your nails may become a bit concave as well. #8 Dark streaks on the nails. If you have noticed some dark streaks appeared on your nails attend your family doctor without hesitation. This may be a sign of melanoma. This is the most dangerous type of skin cancer. If out of the blue your fingers swell and start to resemble sausages. Most likely you have nothing to worry about. The reason may be PMS, eating too much salt, too much liquid accumulated in your body or on the contrary a mild dehydration. At the same time if this condition is constant and is accompanied by some stiffness see your doctor. It might be a sign of Rheumatoid arthritis or an underactive thyroid. professional medical advice if you experience clubbing. #11 White or blue fingertips. If you notice that your fingertips turn white or bluish this may be a sign that you have a condition connected with poor blood circulation also called Raynaud's syndrome. This condition occurs when tiny blood vessels in your hands get too sensitive to any temperature changes. Typically this isn't harmful. Your fingertips can also suffer from some tingling sensations pain numbness and change of color but that also isn't dangerous. At the same time, blue tips of your fingers can indicate low levels of oxygen in your body and if along with the blue fingertips you have a fever, call your doctor immediately. It's most likely pneumonia. If your fingers turn blue after some exercise this may be a sign of a serious lung disease. #12 Yellow lumps over the knuckles. hypercholesterolemia" In this case if you clench your fist lumps that deposit cholesterol will be visible over your knuckles. If this condition remains untreated people die at quite a young age from a heart attack caused by extremely high cholesterol levels. That's why upon seeing such symptoms go to your doctor and have a health check. Thanks for sharing such type post,The great his companion goes to advance and take the promptly the great choice generally this companion might be the passing and get info to click on http://www.endocrinologyfellowship.com/our-personal-statement-endocrinology-writing-services/reproductive-endocrinology-fellowship-personal-statement-writing-services/ if you wanna to get quality work. Such sort of the companion give you so uncommon so need that keep your fellowship progressively solid and I am certain you will gain heaps of ground. Good post,Christmas is the reason in which we did great deeds and here in this article, the Floyd County urban communities deal with the store for the kids who can make the most of their vacation on the forthcoming Christmas occasion and here is check out website for good work. I am inspired by the general population of the Floyd. Excellent post,Yoga is the kinds of the activity in which all aspects of the body feel unwind and comfort but you can get helpful link for best work. It is useful for wellbeing and each kind of the individual can do this activity and it is simple for the other average exercise. It is the enormous chance to join this class and installment is likewise sensible.